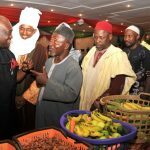 Abia State Governor, Dr. Okezie Ikpeazu has charged Muslims living in Abia State to continue to exhibit qualities of good-neighbourliness and to always consider themselves at home in Abia State. 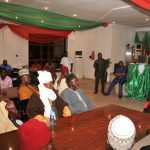 Governor Ikpeazu, who gave this charge while observing the iftar breaking of Ramadan fast with the leadership of the Muslim Community in Abia State, at the Government House, Umuahia, assured them of the continued support of the Abia State Government. The Governor recalled that he went to Maiduguri at the age of 16 and spent about 7 years at the University of Maiduguri for his Bachelors and Masters Degrees and disclosed that he was very conversant with the tenets of Islam and has a lot of respect for the Muslim faith. He urged the Muslim faithful to continue to practice the good deeds they imbibed during the period of Ramadan and wished them a happy Eid-El-Fitr Sallah celebrations. He used the opportunity of the meeting to call for support for President Mohammdu Buhari and the fight against corruption in the country. Stressing that Nigerians must come together as one to promote unity and oneness. 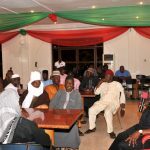 Earlier in his speech, the Leader of the Delegation, Alhaji Musa Iheakaram disclosed that the entirety of Muslims in Abia State were at Government House, Umuahia to express solidarity with the Abia State Governor and thank him for his love for Muslims in the State. Also in the delegation were Chief Imams of Aba, Umuahia, Lokpanta and Ohafia as well as Sarkin Hausa Aba and Umuahia and Sarkin Fulanin Umuahia.